I've been on the hunt for this L'Oreal Confetti nail polish for a while now, so when I spotted it in a local Boots store, I grabbed it straight away, and it's definitely been worth my wait! 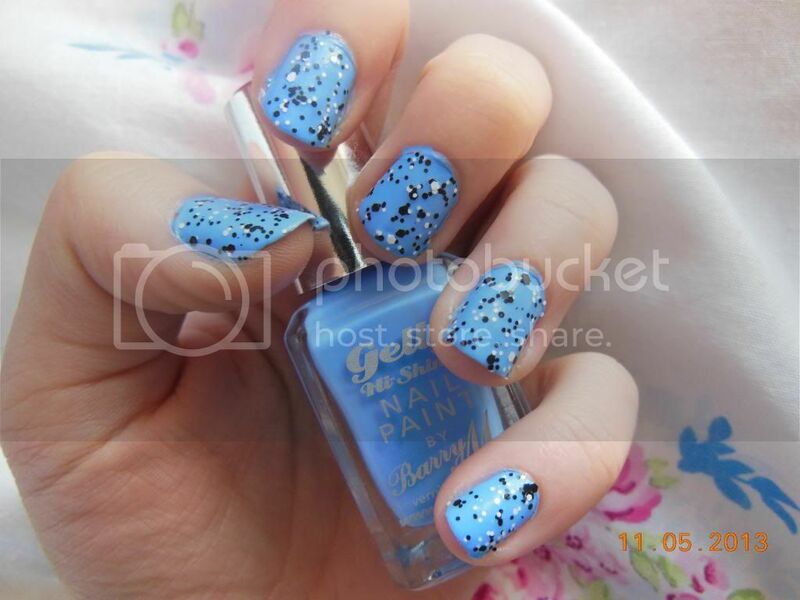 It really is the perfect top coat if you're looking for something a little bit quirky and different. It's jam packed full of black and white glitter particles, but they're matte, so there's no disco ball nails going on here, it's a much classier look. It took me a while to decide which polish to apply it on top of, but I eventually chose my Barry M Gelly polish in 'Blueberry'. I really love these two together, but I'm already excited to try it with other colours and maybe try experimenting with ombre style nails using this. 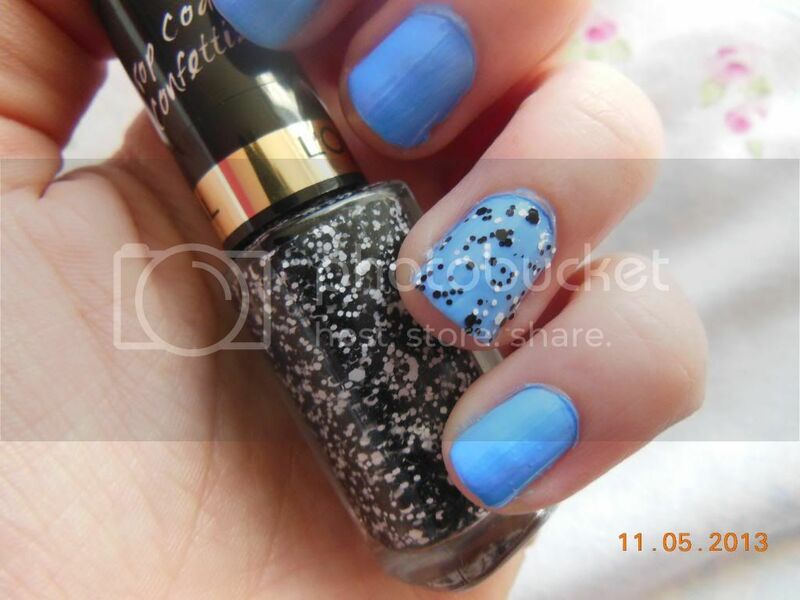 I have also shown how it can be used to create one statement nail (in the final picture), and I really like this too. All of these photos show two coats of the Confetti polish. Do you have this polish? How do you wear yours? I am totally in love with this product to! I absolutely love this top coat! I keep seeing this, it looks super pretty but i'm not sure if i would be able to pull it off! 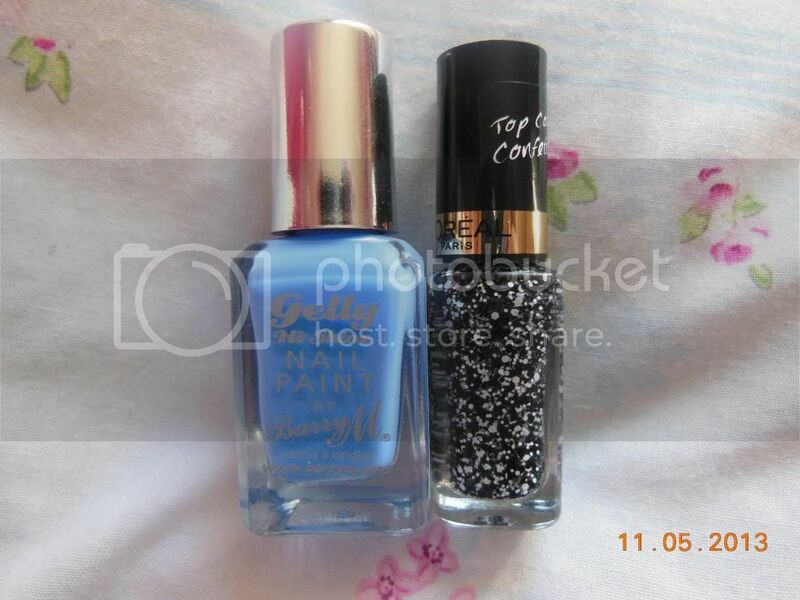 I really want this topcoat. I havent had the chance to go and hunt it down yet though! It will be mine.. one day!